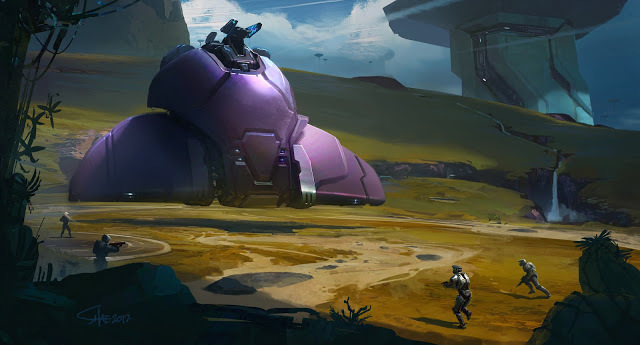 Conceptual artist Shae Shatz had a big hand in helping design Halo 4. Here's some art he did for the Spartan Ops part of the game. He had a hand in weapon design, and promotional work to promote Halo as well. 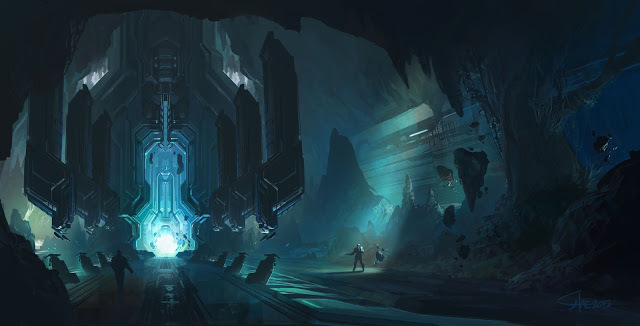 "HALO 4 Spartan Ops pre-production paintings. 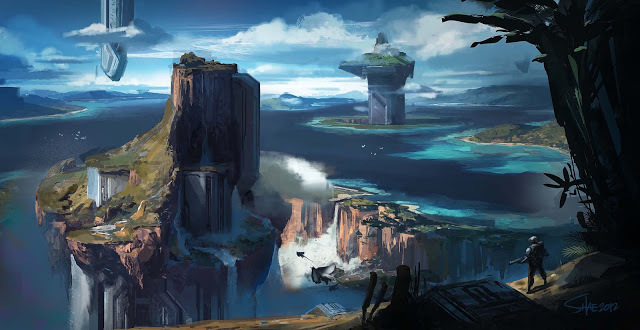 Early on, we were seeking to create a mini-narrative that would make for a compelling multi-session based experience, where players could take over an outpost one week, fly a pelican mission the next week and fight their way up a hillside where they could infiltrate a forerunner technology compound"